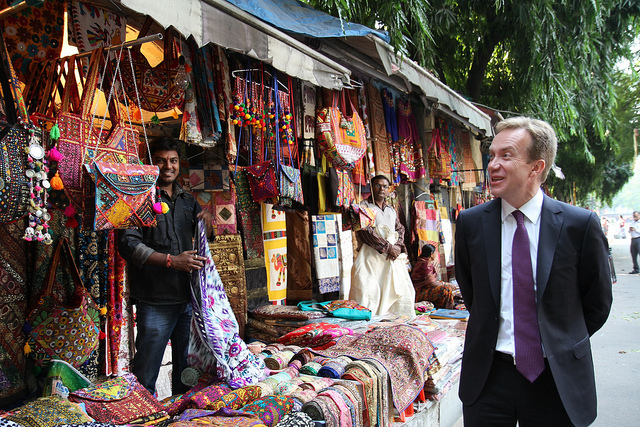 Foreign Minister Børge Brende browsed souvenir stalls in New Delhi before getting down to more important business in the Indian capital on Monday. Brende is attending an Asia Europe Meeting (ASEM), a 51-country forum promoting dialogue between Asia and Europe. Regional issues, economic cooperation and bilateral talks will dominate the three-day conference. Later in the week, Brende will head for the US and his first official meeting with his American counterpart, Secretary of State John Kerry. Prime Minister Erna Solberg, meanwhile, will be making her first official trip abroad as head of Norway’s new Conservatives-led government, to Germany and a meeting with German Chancellor Angela Merkel. Germany is widely viewed as Norway’s most important trading partner in Europe.